Home Tags Posts tagged with "private security"
Watch this private security man get right in the face of uniformed police officers. According to Al Jadeed, the plainclothes men are security agents working for Solidere, Lebanon’s largest and most powerful private corporation. 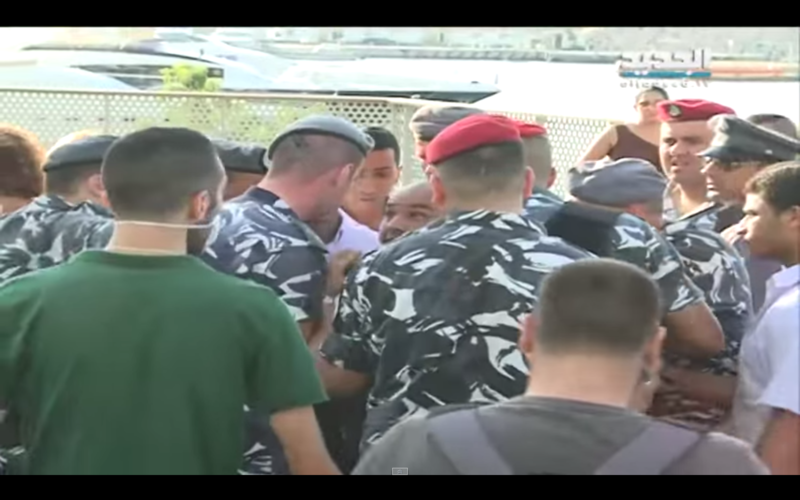 According to Al Jadeed, the confrontation began when activists protesting the ongoing waste crisis, which is seeing garbage piled up on Beirut’s streets, decided to hold a demonstration in front of Zaitunay Bay, a luxury restaurant area, built around Solidere’s private yacht marina. 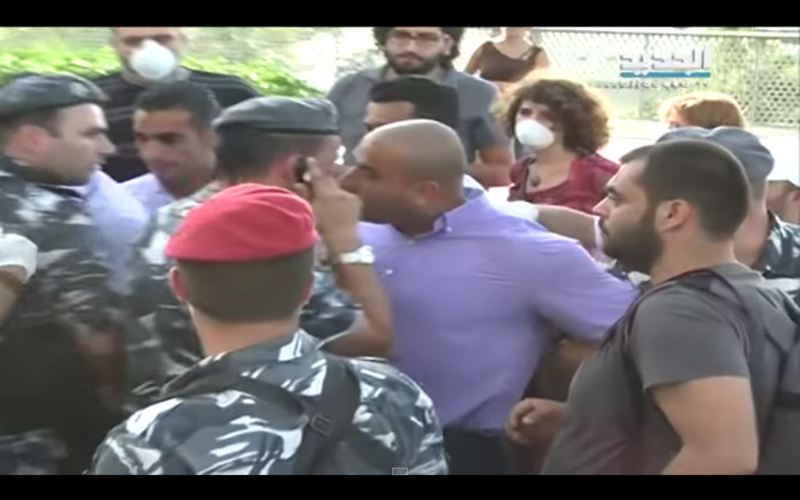 The private security around the facility allegedly attempted to ban video cameras from filming the demonstration, according to Al Jadeed, and the police were deployed around the protestors, who had obtained a legal permit for the rally, the report says. Of course Zaitunay Bay, which is built around public coastal property is very concerned with its image and has a series of rules it enforces to keep the area exclusive, despite claiming the site is open to all. He’s heard shouting at the officers to get off of him, while he wrestles with those trying to pull him away. This would probably be considered assault of a police officer in many countries, a criminal offense that can carry a sentence of one or more years in prison. But as we have witnessed in Lebanon, bodyguards and private security working for Lebanese elites frequently engage in violent behavior with impunity, the most recent example was the stabbing death of George El Rif. 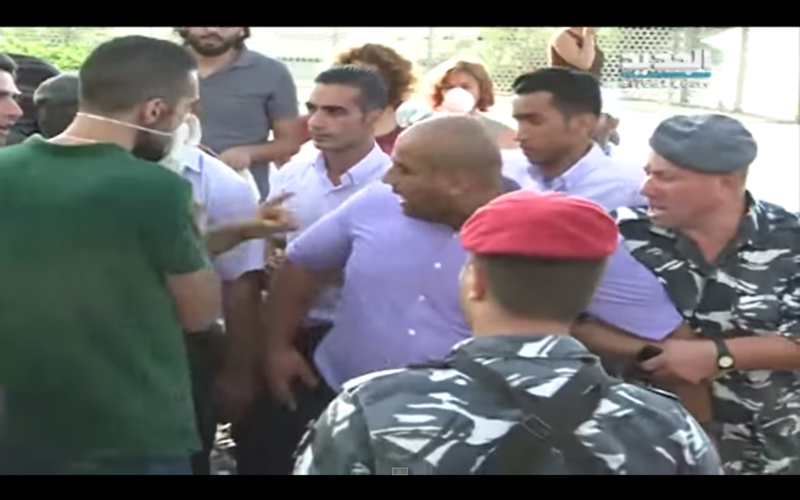 Other well-connected bodyguards have assaulted, beaten or even tried to run over protestors in the past facing very few consequences for their actions. So was the security officer charged with anything? One of the protestors I spoke to said he was just left alone when police left. It would be interesting to hear what Zaitunay Bay or Solidere have to say about this. What does the police department have to say? In the early part of the video, protestors are shown standing in front of the well-protected luxury property which has been insulated from the mounds of garbage piling up in other parts of the city. One suggested people dump their garbage to places like Zaitunay, which is connected or owned by the politicians that rule this country. As I recently reported previously, the private yacht marina pays a negligible amount of tax on the public waterway, despite the huge revenues it brings in for exorbitant berthing fees. Indeed the waste crisis has sparked a public uproar against the country’s uber wealthy politicians for failing to deal with a series of failures in state services, despite somehow always managing to succeed at enriching themselves. Tomorrow (Saturday) citizens are gathering in front of the Prime Minister’s offices to give them a piece of their mind, and perhaps bring some garbage bags along too.